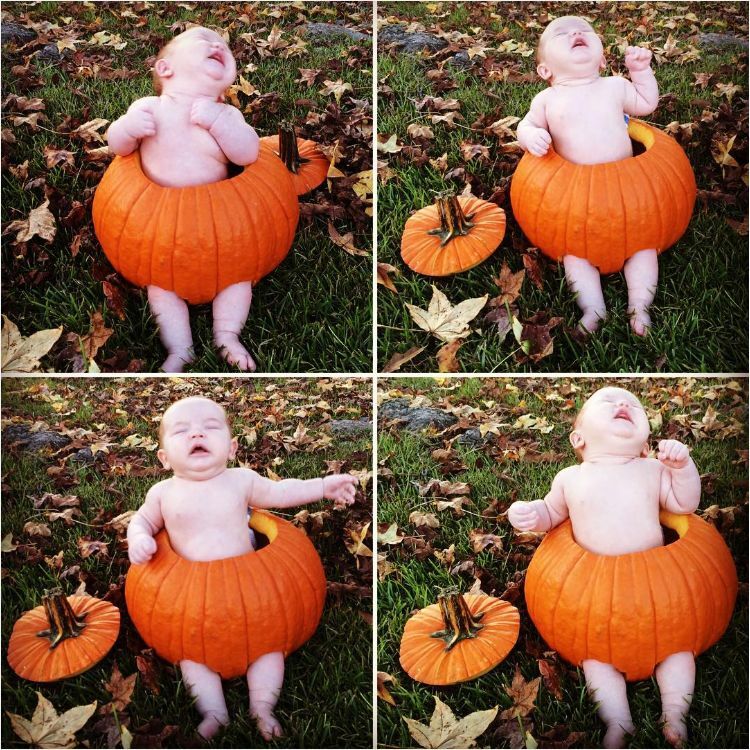 Ah, fall. 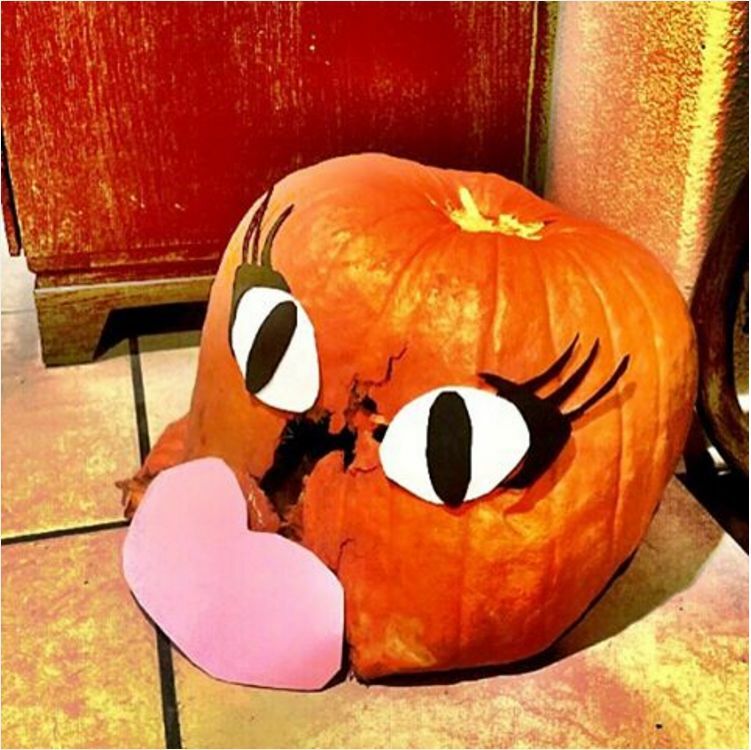 It’s a time for warm cider, cute scarves and boots — and carving up some of the most hilariously atrocious Jack-o’-lanterns the world has ever seen. 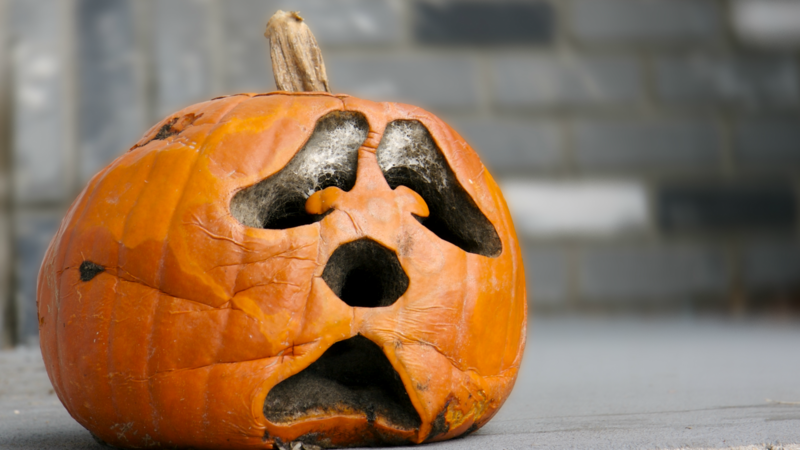 Seriously, though, pumpkin carving is supposed to be fun, so how come it has the ability to frustrate even the most hardened of adults to the point of tears? 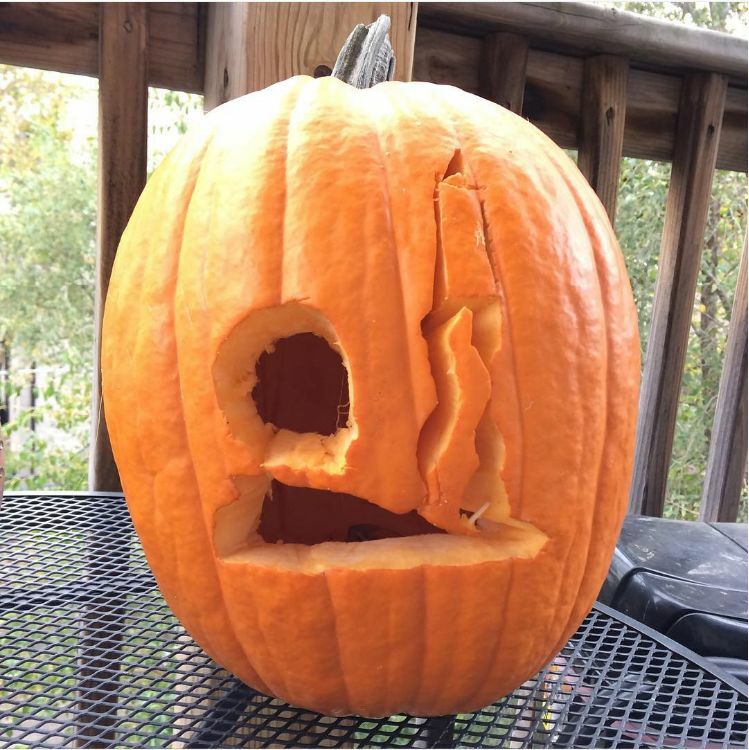 We should probably make it clear that we feel pumpkin carving is a time-honored Halloween tradition that should never be skipped. 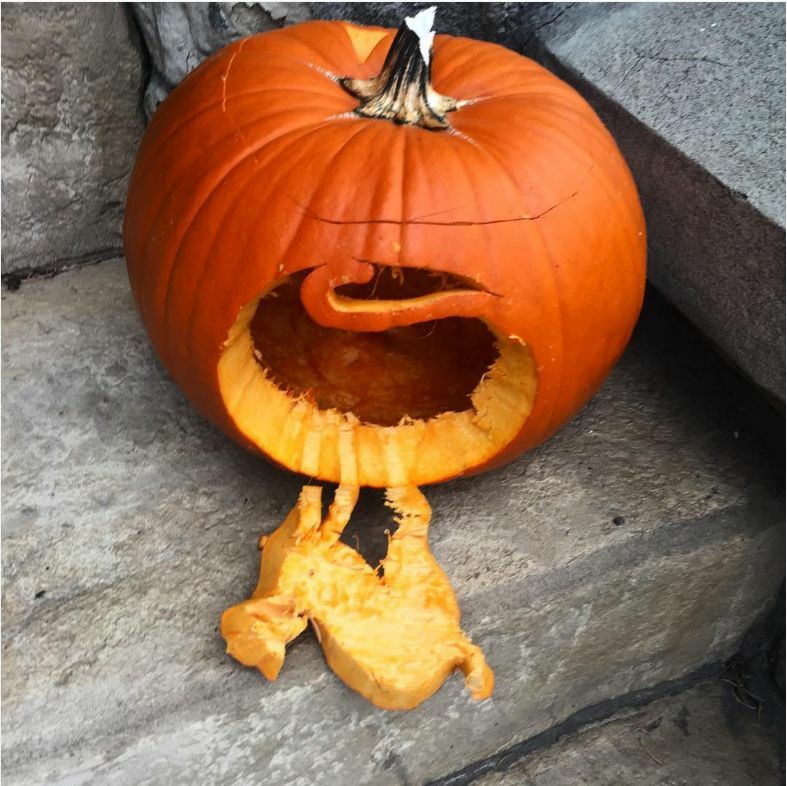 It’s just that when we try to get all fancy and ambitious, our pumpkin works of art tend to fall a little short. 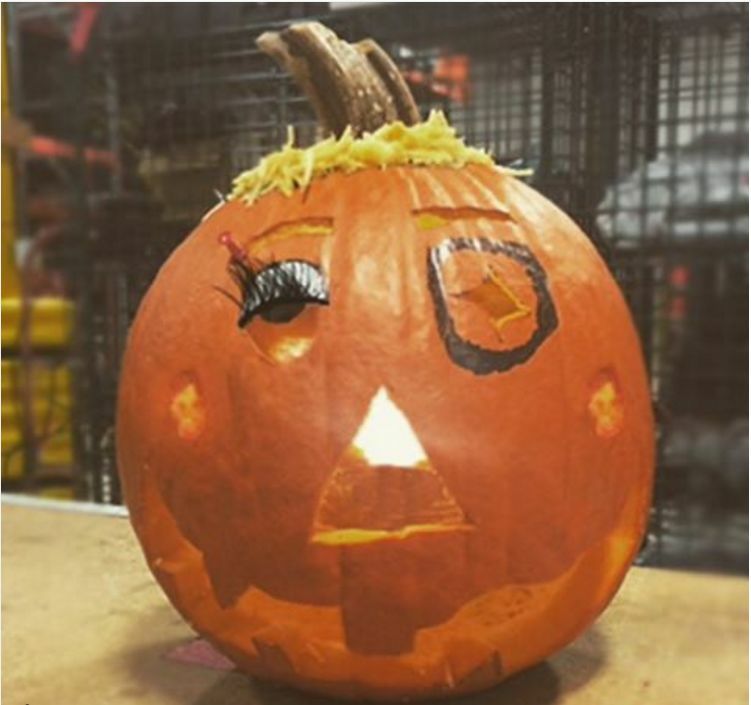 And every year, we always swear we’re going to keep things simple and follow a template to create a Jack-o’-lantern that looks like what we intended it to. But that’s never what happens. 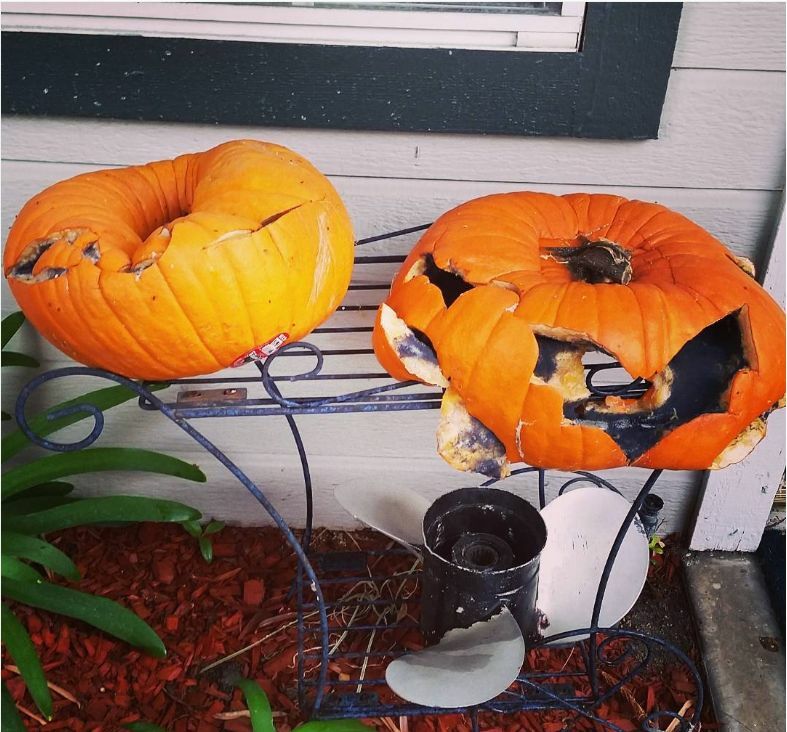 Even though Halloween is supposed to be a time for frightening ourselves (and others), the only scary thing about these pumpkins is that their short lives were utterly wasted. 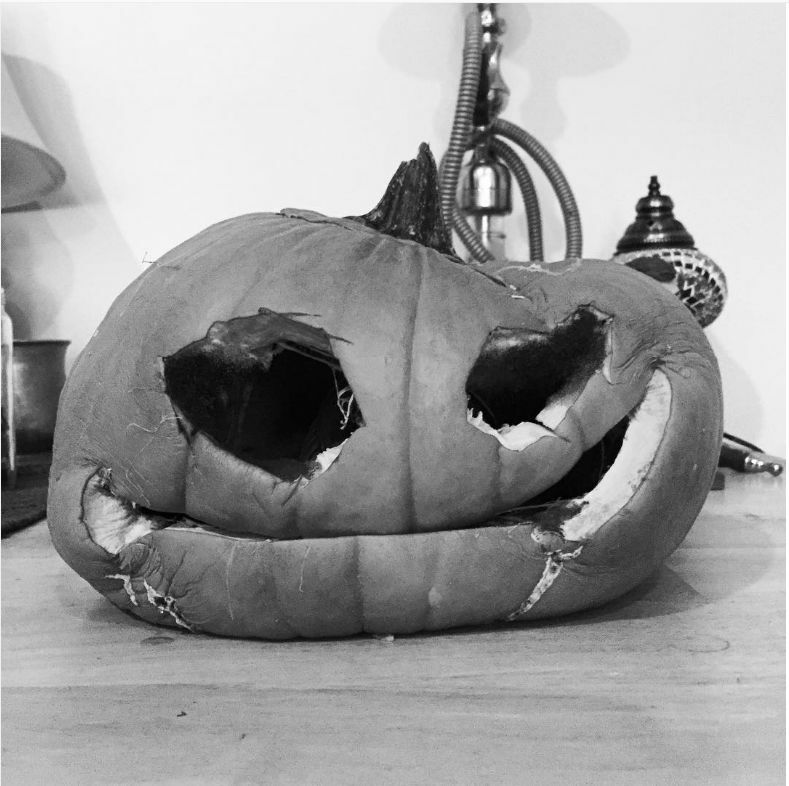 Sometimes putting your pumpkin back together actually succeeds in making it look creepier. This time curiosity really did kill the cat. Top row: Me getting ready. Middle row: Me at the club. 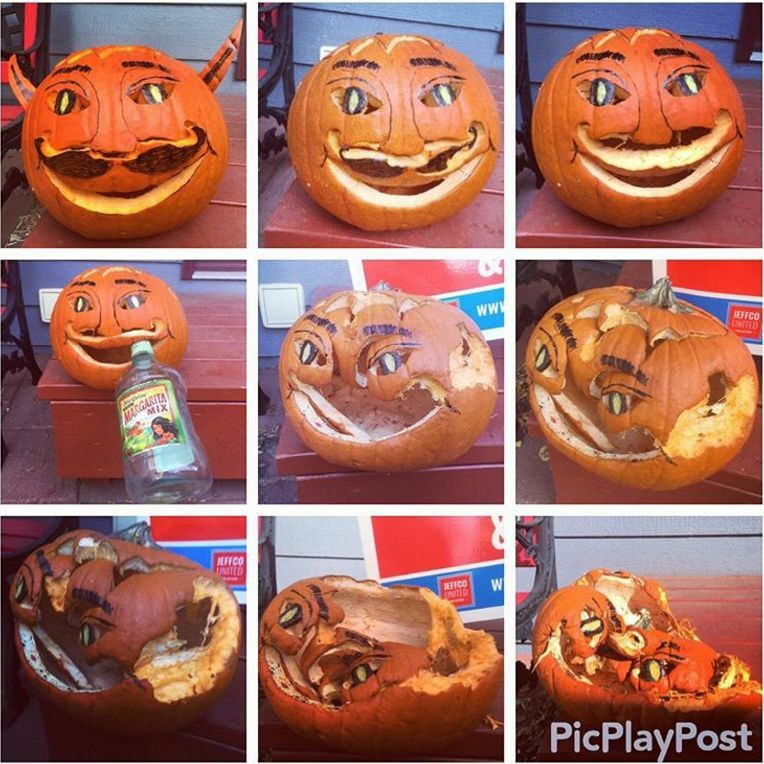 Bottom row: The morning after. 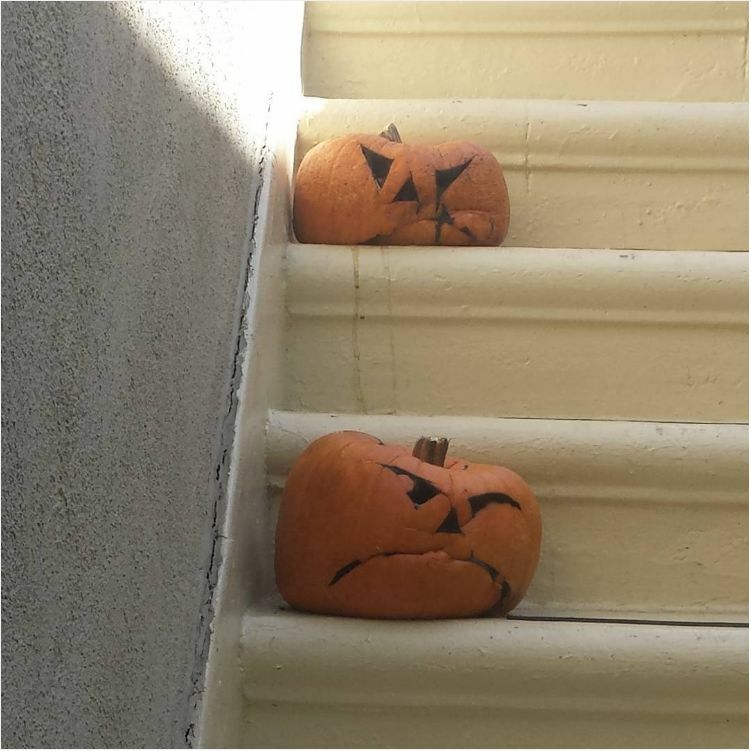 These stern sentinels are one way to keep tricksters away this Halloween. I’m guessing someone had more than their fair share of butterbeer last night. 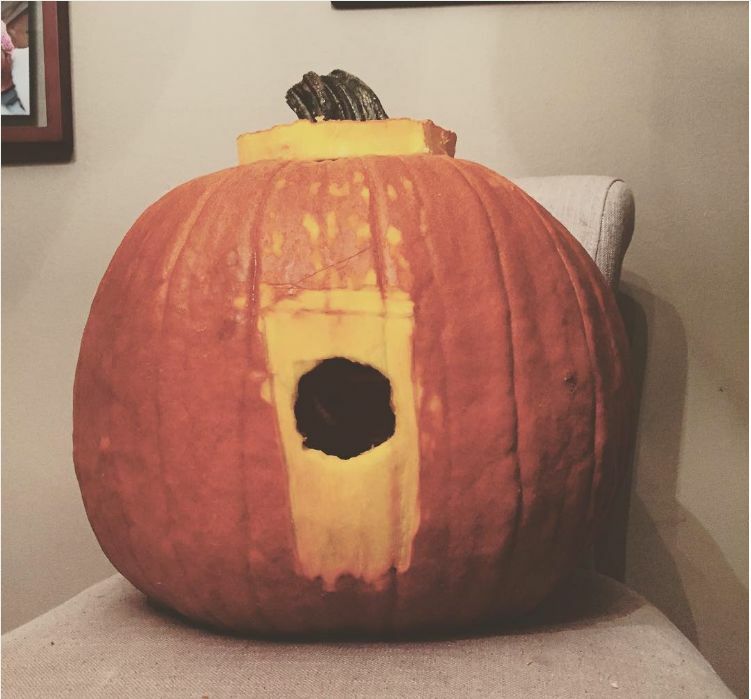 Is this what happens when you forget to get your squirrel guard its own damn pumpkin spice latte? 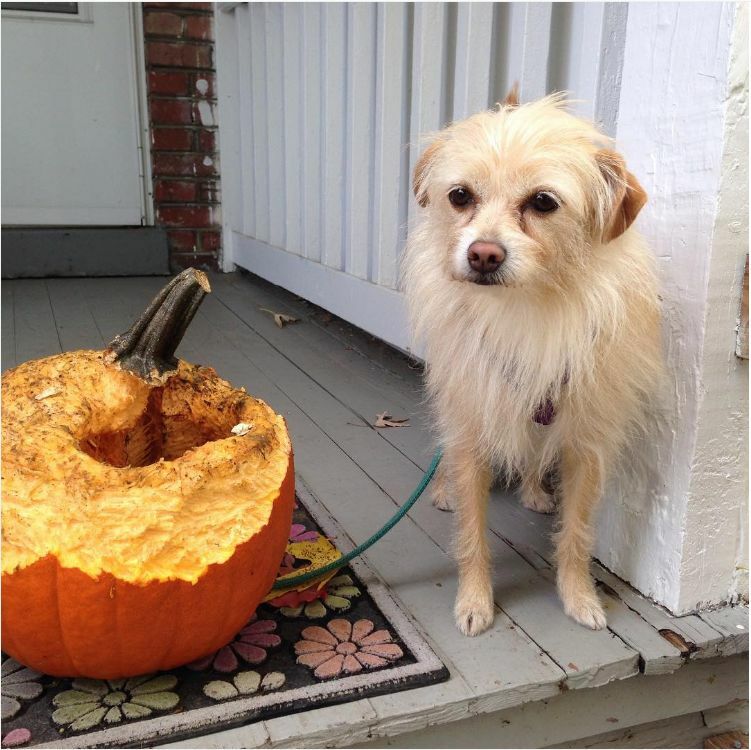 How rotted does a pumpkin have to be before someone just composts the thing? At this point, I kinda feel like this is an accurate representation of the public’s feelings toward PSL hysteria. 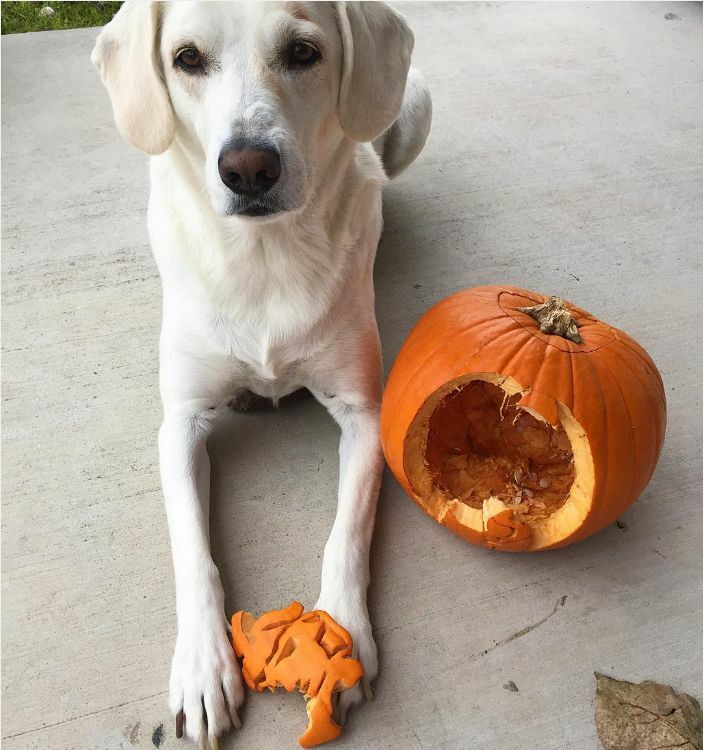 At least this pup chose something healthy to snack on! 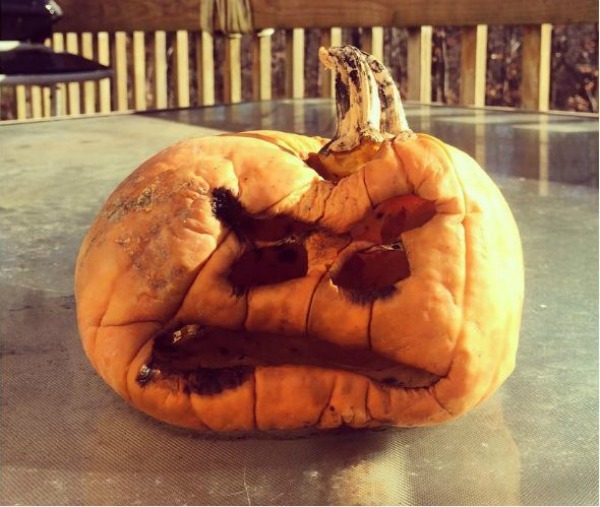 I think this pumpkin saw one too many scary costumes this Halloween. 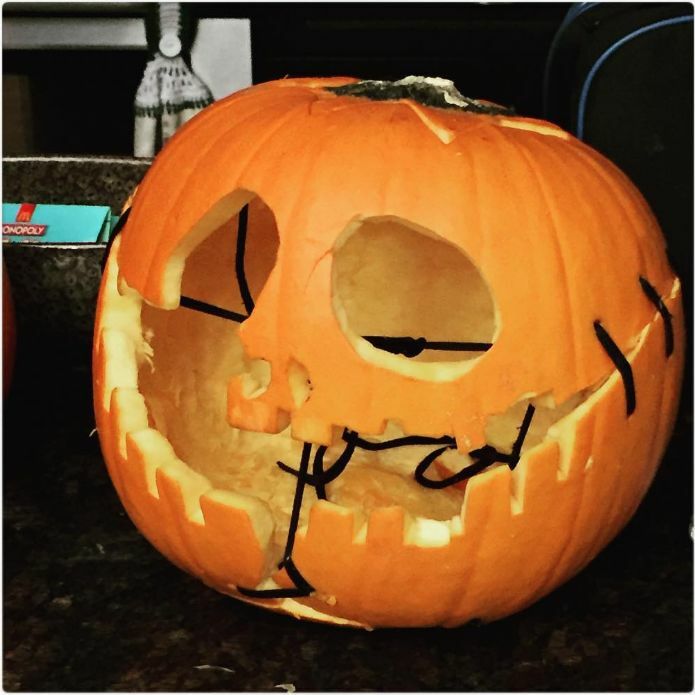 It doesn’t look like the intended Joker, but I think this pumpkin actually ended up being more terrifying. Literally me on a hot day. It’s hard to be scared by something when you literally have no idea what it is. 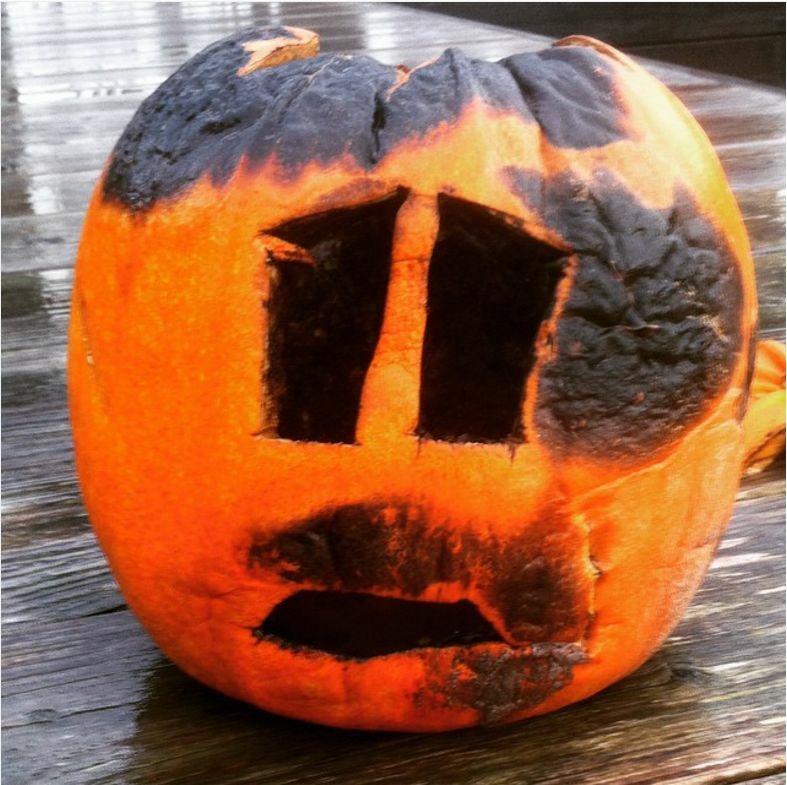 This pumpkin inferno resulted in a jack-o’-lantern with a screwy mustache that’s sure to scare away the kids. I mean, at least they tried? 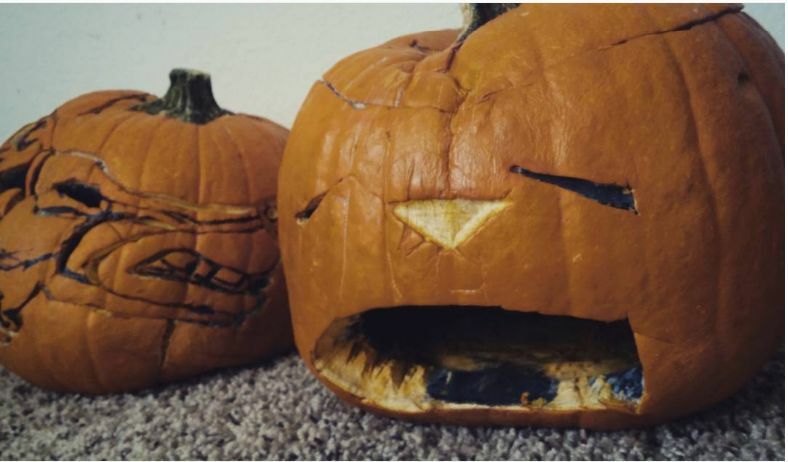 TBH, if someone stuck me inside a pumpkin, I’d be pretty pissed too. 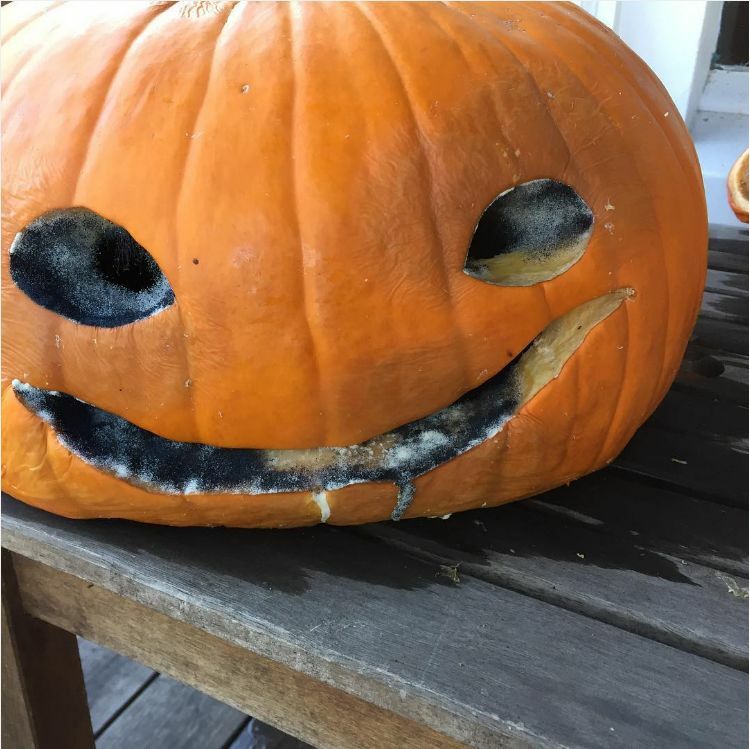 This moldy, mushy jack-o’-lantern looks like it maybe ate a bit too much Halloween candy. 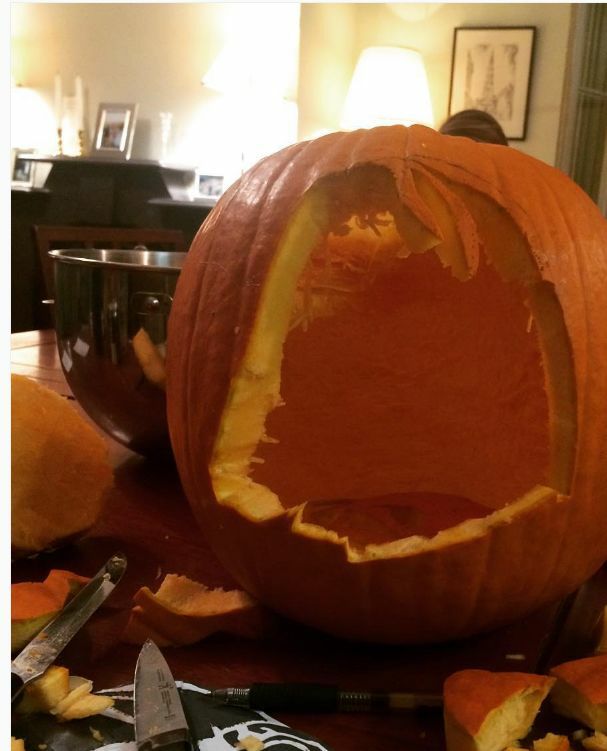 This pumpkin FAIL forces us to confront our deepest fear: nothingness. 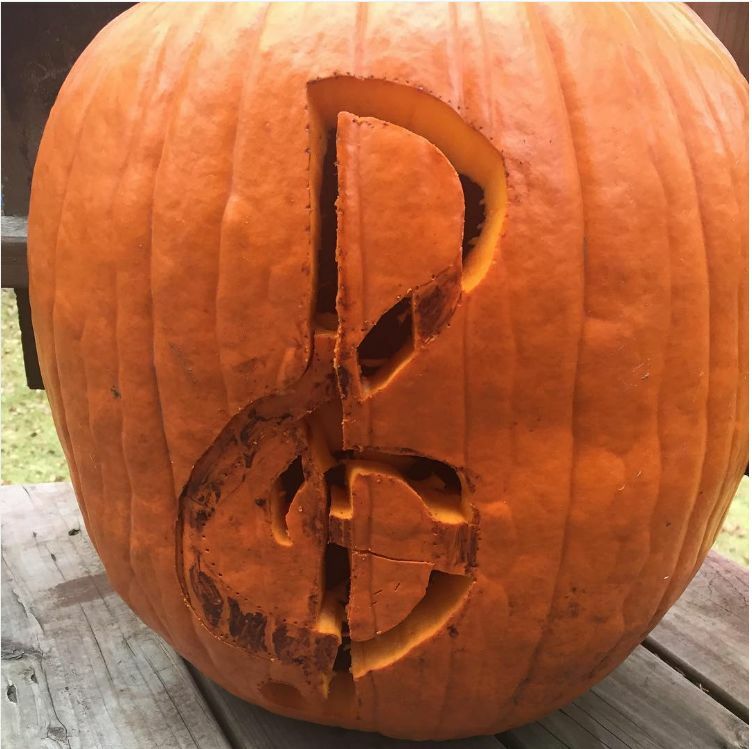 Now that’s haunting. 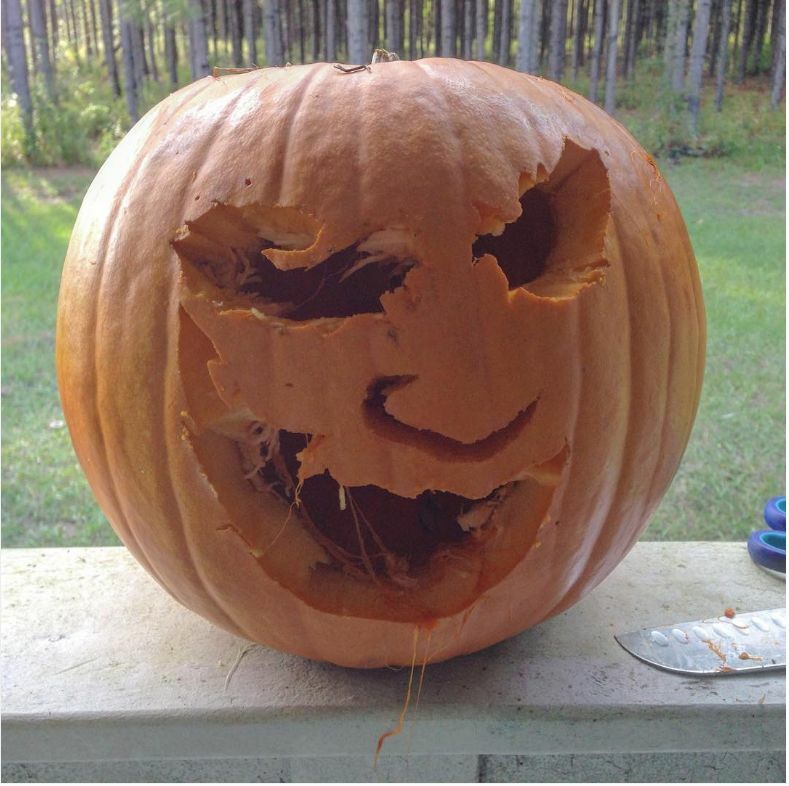 Honestly, this jack-o’-lantern probably looks way more terrifying after being left in the sun.